Earthy, mineral black fruit nose with beef stock and black cherry flavours. Quite saturated and intense with lovely fruit expansion. Tapanade and spice notes complete this deep and brooding Talbot. Drink 2020-2036. James Suckling (92-93 points) "This is solid and structured with blackberry and currant character. Full-bodied, muscular and dialed-in"
Neal Martin, Vinous.com (90-92 points) "The 2017 Talbot was picked from 18 to 4 October using manual and optical sorting, matured in 50% new oak. It has a relatively light but well-defined, floral bouquet, pressed flower filtering through that blackberry and boysenberry scents, a little clove and bay leaf lending complexity as it opens in the glass. The palate is medium-bodied with fine but firm tannin that frame the slightly savory black fruit, just a little earthiness developing towards the finish. 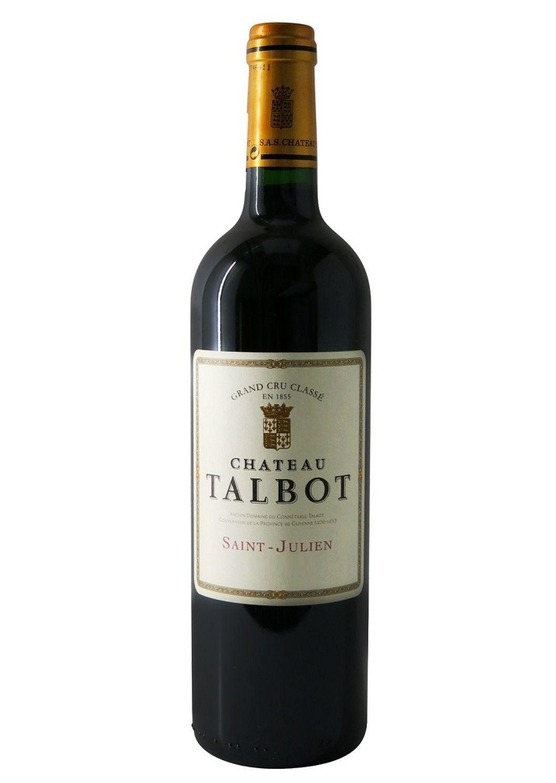 It is a classic Talbot really, exactly what you would expect for the vintage."